From the very beginning of my scientific career, my research interests have concentrated on the physical principles of the architecture of biological macromolecules, proteins, nucleic acids and their complexes, namely the energetics of formation of their unique three-dimensional structures. These aims require experimental studies of the conformation of these molecules under various conditions and measurements of the energies involved in changes of their structures and of their association with molecular partners. The problem of molecular recognition, particularly of DNA by gene regulating proteins, attracts at the present time rapidly increasing attention. Its solution largely depends on the extent of information concerning the energetics of this process. Realization of this program has required development of a supersensitive calorimetric technique, microcalorimetry, which is now widely used in many other laboratories. Except microcalorimetry we are also using extensively various optical methods: CD, fluorescence anisotropy and florescence resonance energy transfer (FRET) to investigate the protein interaction with and changes in their structure resulted from their association. We are working with various proteins and their mutants that we construct to solve the problem of forces responsible for the protein folding and their association with the partners. In our experiments we are using also synthetic polypeptides and polynucleotides as models, particularly in studying protein interactions with their target DNAs. Dragan, A.I., Russell, D.J. & Privalov, P.L. 2009. DNA hydration studied by pressure perturbation scanning microcalorimetry. Biopolymers. 91:95-101. Privalov, P.L., Dragan, A.I. & Crane-Robinsin, C. 2009. The cost of DNA bending. TIBS, 690:1-7. Carrillo, R., Dragan, A.I.& Privalov, P.L. 2009. Stability and DNA-binding ability of the bZIPs formed by the ATF-2 and c-Jun transcription factors. J. Mol. Biol. In press. Dragan, A.I., Carrillo, R., Gerasimova, T. Privalov, P.L. 2008. Assembling the human IFN-b enhanceosome in solution. J. Mol. Biol. 384, 335-348. Privalov, P. L. 2008. Microcalorimetry of proteins and their complexes. The chapter in Protein Structure, Stability, and Interactions, John W. Shriver (ed. ), The Humana Press Inc., Totowa, New Jersey, pp 1-39. Dragan, A.I. & Privalov P. L. 2008. Use of fluorescence resonance energy transfer (FRET) in studying protein-induced DNA bending. 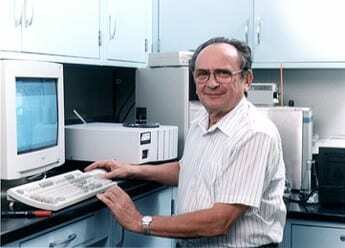 Methods Enzymology, 450, 186-199. Dragan, A.I., Hargreaves, V.V., Makeyeva, E.N., and Privalov, P.L. 2007. Mechanisms of activation of interferon regulator factor 3: the role of C-terminal domain phosphorylation in IRF-3 dimerization and DNA binding. Nucleic Acids Res. 35:3525-34. Crane-Robinson, C., Dragan, A.I., and Privalov, P.L. 2006. The extended arms of DNA-binding domains: a tale of tails. Trends Biochem Sci. 31:547-52. Samec, J.S., Ell, A.H., Aberg, J.B., Privalov, T., Eriksson, L., and Backvall, J.E. 2006. Mechanistic study of hydrogen transfer to imines from a hydroxycyclopentadienyl ruthenium hydride. Experimental support for a mechanism involving coordination of imine to ruthenium prior to hydrogen transfer. J Am Chem Soc. 128(44):14293-305. Mushkacheva, G, Rabinovich, E, Privalov, V, Povolotskaya, S, Shorokhova, V, Sokolova, S, Turdakova, V, Ryzhova, E, Hall, P, Schneider, AB, Preston, DL, and Ron, E. 2006. Thyroid abnormalities associated with protracted childhood exposure to (131)i from atmospheric emissions from the mayak weapons facility in Russia. Radiat Res. 166(5):715-22. Privalov, P.L. and Dragan, A.I. 2006. Microcalorimetry of biological macromolecules. Biophys Chem (Epub ahead of print). Privalov, P.L. 2006. Reflections on the origins of microcalorimetry of biopolymers. Biophys Chem (Epub ahead of print). Bjelic, S, Karshikoff, A, and Jelesarov, I. 2006. Stability and folding/unfolding kinetics of the homotrimeric coiled coil Lpp-56. Biochemistry. 45(29):8931-9. Macak, P, Fromager, E, Privalov, T, Schimmelpfennig, B, Grenthe, I, and Wahlgren, U. 2005. Electron transfer in neptunyl(VI)-neptunyl(V) complexes in solution. J Phys Chem A Mol Spectrosc Kinet Environ Gen Theory. 109(22):4950-6. Fromager, E, Vallet, V, Schimmelpfennig, B, Macak, P, Privalov, T, and Wahlgren, U. 2005. Spin-orbit effects in electron transfer in neptunyl(VI)-neptunyl(V) complexes in solution. J Phys Chem A Mol Spectrosc Kinet Environ Gen Theory. 109(22):4957-60. Hargreaves, VV, Makeyeva, EN, Dragan, AI, and Privalov, PL. 2005. Stability and DNA binding ability of the DNA binding domains of interferon regulatory factors 1 and 3. Biochemistry. 44(43):14202-9. Dragan, A.I., Read, C. M., Makeyeva, E.N., Milgotina, E.I., Crane-Robinson, C., and Privalov, P.L. 2004. DNA binding and bending by sequence specific HMG boxes: energetic determinants of specificity. J. Mol. Biol. 343 , 371-309. Dragan, A.I., Frank, L., Liu, Y., Makeyeva, E. N., Crane-Robinson, C. & Privalov, P. L 2004. Thermodynamic signature of GCN4-bZIP binding to DNA indicates the role of water in discriminating between the AP-1 and ATF/CREB sites. J. Mol. Biol . 343 , 865-878. Dragan, A.I., Liu, Y., Makeyeva, E. N., and Privalov, P.L. 2004. DNA-binding domain of GCN4 induces bending of both the ATF/CREB and AP-1 binding sites of DNA. Nucleic Acids Research , 32 , 5192-5197. Dragan, A.I., Potekhin S.A., Sivolob, A., Lu, M., and Privalov, P.L. 2004. Kinetics and thermodynamics of the unfolding/refolding of the three-stranded a -helical coiled-coil, Lpp-56. Biochemistry , 43 , 14891-14900. Dragan, A.I., Liggins, J.R., Crane-Robinson, C., and Privalov, P.L. 2003. The energetics of specific binding of AT-hooks from HMGA1 to target DNA. J. Mol. Biol. 327 , 393-411. Dragan, A.I., Klass, J., Read, C.M Churchill, E. A., Crane-Robinson, C., and Privalov, P.L. 2003. DNA binding of a non-sequence-specific HMG-D protein is entropy driven with a substantial non-electrostatic contribution. J. Mol. Biol . 327 , 393-411. Dragan, A.I. Privalov, P.L. 2002. 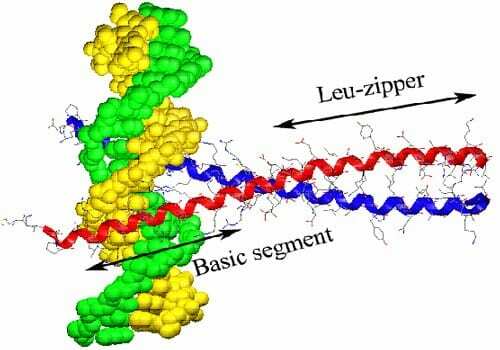 Unfolding of a leucine zipper is not a simple two-state transition. J. Mol. Biol. 321, 891-908. Yu, Y. B., Privalov, P. L. & Hodges, R. S. 2001. Contribution of translational and rotational motions to molecular association in aqueous solution. Biophys. J. 81 , 1632-1642. Privalov, G.P. and Privalov, P.L. 2000. Problems and prospects in the microcalorimetry of biological macromolecules. Methods in Enzymology , 323 , 31-62. Liggins, J.R. & Privalov, P.L. 2000. Energetics of the specific binding interaction of the first three zinc fingers of the transcription factor TFIIIA with its cognate DNA sequence. Proteins: Struct. Funct. Genetics, 4: 50-62.